I went on the internet the other day (as I normally do), and was checking out the tracks feature for one of our boats, The Minnow. Despite working for Boat Command and seeing tracks almost daily, I still think it is really cool to look back and see where you’ve been over the last year or so. You can see where your friends have been, where your parents have been, or even where your kids have been. Actually, as a kid, I’m not sure I want my parents knowing where I’ve been. But that’s completely up to you. The Minnow’s Track in March. 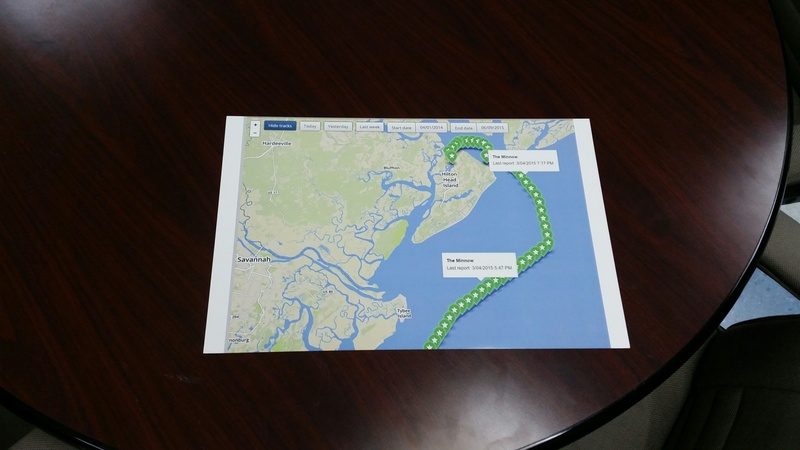 I think the Boat Command tracks feature is so cool that I decided to go to Vistaprint and have a picture printed. I’m thinking about framing it and putting it in my office. What do you think?